Failure to follow correct firing protocol and conduct necessary safety checks resulted in a Ground Self-Defense Force mishap last month in which shrapnel from a live mortar round hit a civilian car in western Japan, the GSDF said Tuesday. In the incident on Nov. 14, an 81-millimeter mortar round landed outside Aibano Training Area in Takashima, Shiga Prefecture. Shrapnel from the round shattered a car’s window about 40 meters away from the impact location, with a 71-year-old farmer inside escaping uninjured. The GSDF acknowledged it also failed to swiftly report the incident to the mayor of Takashima. The GSDF and the city have an agreement to immediately share information on incidents of concern at the training area, but the mayor was not notified until some four hours later. The GSDF reprimanded a total of 19 people over the incident. The range commander at the time was suspended from work for eight days and a liaison officer was docked one month’s pay. “We sincerely apologize to the person who suffered the damage. We also regret our delay in notifying the municipality involved,” said GSDF Gen. Koji Yamazaki. 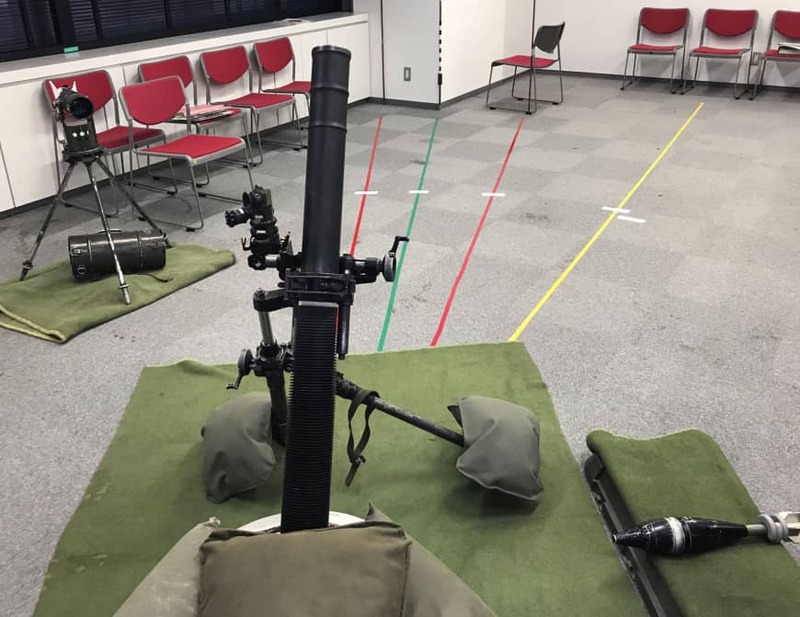 The GSDF said its members who were taking part in the drill began preparations to fire mortars before the range commander arrived, and a squad chief mistakenly ordered the mortars be fired 22.5 degrees north of the planned target direction. The mortar rounds were fired without proper safety checks, the GSDF said, and even though the GSDF members were unable to locate where the previous two rounds had landed, they decided to extend the firing range by 200 meters, it said. Since the incident, live ammunition training in the area has been suspended, as has the use of 81-mm mortars nationwide. 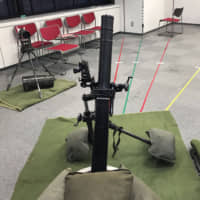 Yamazaki said the GSDF hopes to resume drills at the training area and the use of the 81-mm mortars in this and other locations once it gains consent from the surrounding municipalities.